Jennifer Hellum is a senior lecturer in Classics and Ancient History at the University of Auckland. She specialises in the study of ancient Egypt – its religion, language, art, history, and historiography. She received her PhD from the University of Toronto in 2001. Since then she has taught for a semester at Howard University in Washington, DC, a summer hieroglyphs course at Georgia State University in Atlanta, GA,and has been at the University of Auckland since 2003. She has excavated in Egypt at Abu Sha’ar on the Red Sea coast, at Mendes in the Delta, on the Giza Plateau, and at Abydos in Middle Egypt. 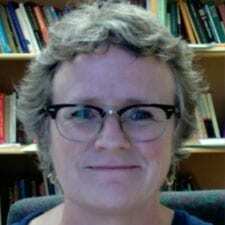 Her publications include articles on myth in the Pyramid Texts, the oldest corpus of religious literature in the world, and on the subject of her talk for Winter Week. She has written a book on the pyramids, and is writing another on the effect Orientalism has had on our view of ancient Egypt.